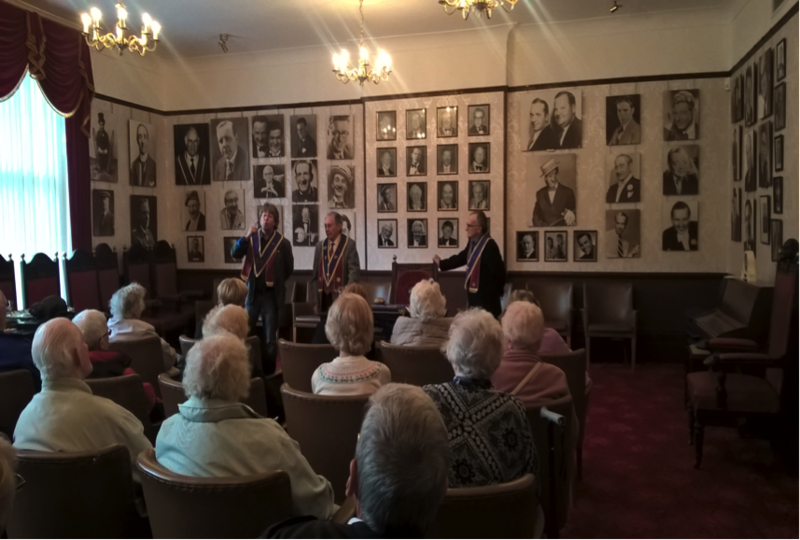 On Wednesday, 4th October, we hosted yet another of our Museum & Lodge Tour Events. This was a ‘full house’ tour for a party organised by the Midlands firm of Johnsons Coaches. Scr.R MIKE MARTIN, PPR CHRIS EMMETT and PKR KAPLAN KAYE conducting a ‘Questions & Answers’ time for the Johnsons Coaches Party. With just one more Event to go, 2017 has been a very successful year for the Museum & Lodge Tours and with eleven Events already booked for 2018, next year looks like being yet another successful year for the GOWR LODGE & MUSEUM TOUR EVENTS.